There are many reasons people see a psychological professional, but it can be hard to make the first appointment. If you are wondering how to learn more about yourself and how you are feeling, deal with a specific concern, function better at work or in relationship with friends and family, we might be able to help. 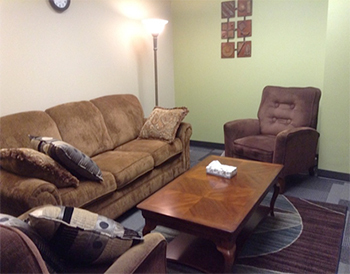 See this FAQ page to learn more about the kinds of concerns our clients talk about in therapy. Clients of all ages and socio-economic groups, from Knoxville and the surrounding communities, are eligible for treatment at the clinic. Most clients are self-referred, but we also receive referrals from other mental health agencies, private and public social service agencies, physicians, and other professionals. Services are provided by doctoral students in the clinical psychology program under the supervision of fully licensed clinical psychologists.